Planning a Komodo trip is exciting. Seeing those travel photos. Dreaming about taking a spectacular back shoot from the top hill of the social-media-famous Padar Island. Imagining the thrilling encounter with the dragons. Planning is, indeed, half the fun of the trip itself. A trip to Komodo Island is not only about the dragons. The Flores Sea has endless charm lies above and beyond the water. A dozen of gorgeous islets scattered around the world-famous Komodo National Park. They don’t have dragons roaming around. 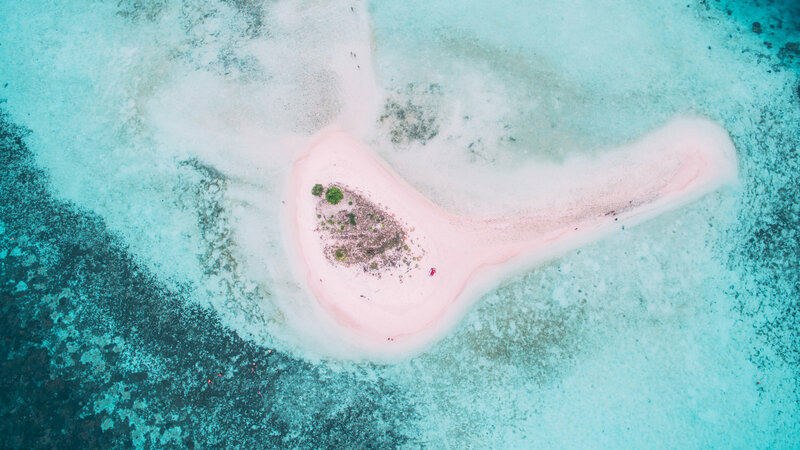 Yet, they are blessed with either stunning landscape, fabulous sunrise and sunset viewpoint, or sugary white beaches (some are tainted with a subtle hint of pink!). 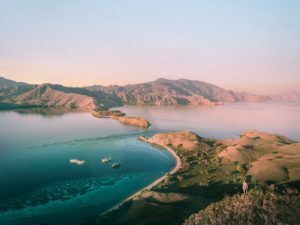 Here a 3 hidden, absolutely gorgeous destination around Flores and the National Park you definitely should visit during your Komodo trip. A small island in the northern part of Komodo Island, Gili Lawa Darat is quite popular among island hoppers. It’s famous by its other name, the Pirate Bay. It mainly consists of tumultuous hills with dry savannah, which looks very pretty when the soft rays of sunset begin to spread among the grasses. The wide and deep bay of Komodo Island sits right in front of Gili Lawa, protects this small island from winds and waves which make it as a perfect spot for water sports, kayaking, stand up paddle, and many other water activities. Close to the ocean, Gili Lawa will surprise you with a lot of unexpected awesome animal sightings. Many reported seeing humpback and blue whale! 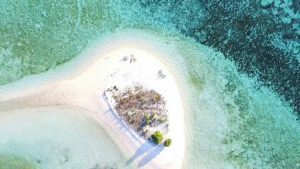 Pulau Makassar (a.k.a Makassar Island or Taka Makassar) is downright one of the dreamiest sandbars near the Komodo Island. A crescent-shaped white beach rises to the ocean and makes up the whole topography of this tiny island. Smaller than a football field, you can walk from one end to another in less than 15 minutes. Then, take the whole afternoon lounging on the idyllic beach. Taka Makassar is surrounded with crazily clear, shallow turquoise lagoon where you can swim or floating on the water. Take your chic pineapple floats (or flamingo, unicorn, up to you) here, and float in style. Due to the shallow depth, your liveaboard cannot dock to the “island”. You need to take a kayak or smaller boat to get there, but that’s what makes Taka Makassar feel even more remote and dreamy. Take Makassar sits right in next to Karang Makassar a.k.a the Manta Point, where dozens of Manta Rays regularly gliding cross the site, attracted to the sea currents. You can snorkel with them or just see these majestic creatures ‘flying’ graciously beneath the clear water just from your ship. Overlooked by many other Komodo trip, this small sandbar is relatively free from other tourists. It’s something you definitely need to enlist at once. We are talking about Flores, which every nook and cranny is blessed with abundant beauty. In Kelor, the island is synonymous with tranquility and peace. 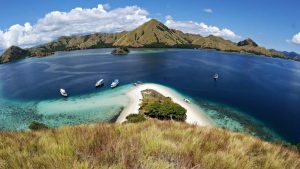 Raise just in front of beautiful hills of Komodo Island, Kelor feature a single lush hill (which turns into gorgeous yellowish savanna in the dry season) which drops straight into a strip of sugary beach. Reach the hilltop just in 15 minutes, and you will be rewarded by breathtaking panoramic view of the National Park and around. Embarking on Komodo trip is awesome. With these stunning hidden places included, your trip gonna be even more perfect!